Gerstbach Business Analyse GmbH is a Business Analysis consultancy, based in Austria, specialised in business analysis services such as trainings, project support and consultancy for customers in German speaking Europe. We help you solving your business problems and to streamline your processes to increase profit. Gerstbach Business Analyse offers you tailored consultancy to streamline your business analysis team and implement a consistent business analysis framework. We provide a range of courses including those that are aligned to the CBAP®/CCBA® qualifications by International Institute of Business Analysis and BCS, The Chartered Institute of IT. Business Analysis Consultancy: Working with you to develop or define your in-house BA capability. 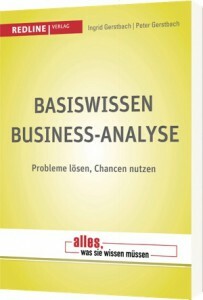 Business Analysis in your Project: Helping you to identify and solve business problems and streamline your processes. Business Analysis Trainings: Tailored training solutions for your BA team, including trainings based on IIBA and BCS scheme. Our goal is to understand our customers needs and work with them to deliver the change they need to their business. Our job is to consult, create valuable change, and leave lasting value behind us. We’ll work with you to understand the problems or opportunities that you face, and we’ll challenge. Peter Gerstbach is Managing Director of Gerstbach Business Analyse GmbH, where he provides business analysis consultancy and training to various clients in Austria, Germany and Switzerland. He is one of the first CBAP® in Austria, co-founder and former president of IIBA Austria Chapter and the co-organizer of the Business Analysis Camp, a yearly “unconference” taking place in Vienna, Austria. 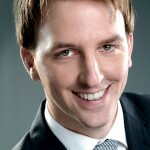 He is a regular speaker at conferences, host of the first German Business Analysis Podcast and author of the first German Business Analysis book taking on a holistic view on the BA profession. Visit Peter’s profile on linkedin.